A small group tour taking in two of Southern Africa's most famous attractions. Visit the scenic Blyde River canyon on our way to the Kruger Park. Open vehicle game drives offers fantastic wildlife viewing and an opportunity to view the Big 5. Crossing the Limpopo River, we head for the Bulawayo and the Matobo National Park- famous for it's large population of rhinos. Experience the mighty Victoria Falls where all kinds of adventure awaits. Accommodation is in en suite bungalowsand chalets. Our adventure begins with an early start from Johannesburg as we head for the scenic province of Mpumulanga. We enjoy a stop at the famous Blyde River canyon and take in the “Three Rondawels”, and the spectacular surrounding scenery. After lunch we head for our accommodation located a short distance from the Kruger Park. Waking at sunrise we board our especially adapted 4x4 safari vehicles. We enter the park as soon as the gates open and begin an exciting morning of wildlife viewing. Our experienced guides know the area well and assist in finding the best game viewing spots as well as providing a wealth of information. 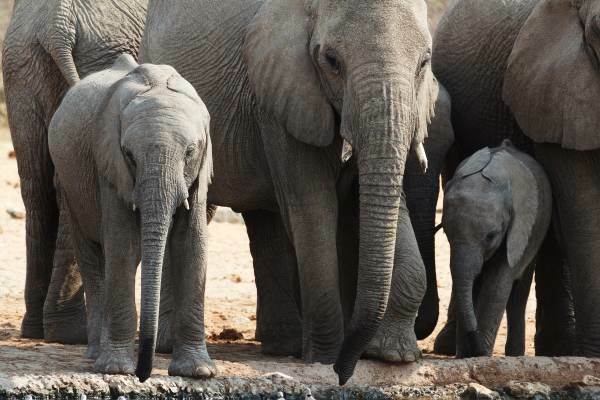 The high concentration of animals in the Kruger Park makes for an incredible safari experience. We take a lunch break at one of the Kruger rest camps before heading off on our afternoon game drive, where we have an opportunity to spot more wildlife including the Big 5. Our safari ends at sunset as we head for accommodation and a well-deserved rest. After breakfast we pack up and leave the Kruger area and head north for the Limpopo province, home to the Polokwane Nature Reserve. We enjoy a game walk taking in many species of animals, including the endangered white rhino. Game walks provide good opportunities to get to know the bush a little better and to take in things that would be missed on a game drive. Today we have a long drive as we leave South Africa and cross the Limpopo River into Zimbabwe. Travelling through rural Zimbabwe, we head for Bulawayo, the second largest city in Zimbabwe. In the afternoon we have time to explore this historical town. Note that this is dependent on how long border formalities take. Today we board our open game vehicles and head to the Matobos National Park. Known for its spectacular rock formations, this world heritage site is home to numerous bushman paintings as well as a large population of black and white rhinos. There is also a large concentration of leopards and the magnificent black eagle. We enjoy a game walk where we have a chance to view these animals. Matobo National Park is also home to infamous Cecil John Rhodes. Our journey continues north as we head to Victoria Falls – one of the seven natural wonders of the world. We arrive in the afternoon and visit this spectacular waterfall with its natural rain forests created by the immense spray generated by the Falls. We finish an exciting day with a sunset cruise up the Zambezi River where we have an opportunity to view elephants, hippos and other animals coming down to the river to drink. 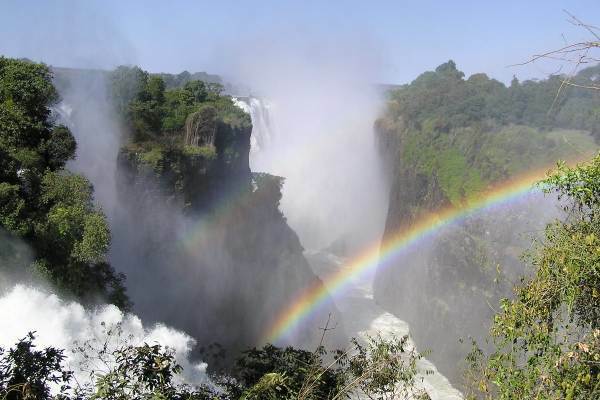 Victoria Falls is the adventure capital of Southern Africa and offers a huge variety of activities. The Zambezi River and surrounding villages offer opportunities for both adrenalin as well as cultural activities. Note that the visit to the waterfalls may take place in the morning depending on time constraints. Today our exciting Kruger Park and Victoria Falls tour comes to an end. It is highly recommended that clients allow themselves an extra day or two to explore this amazing area and partake in some of the activities on offer.